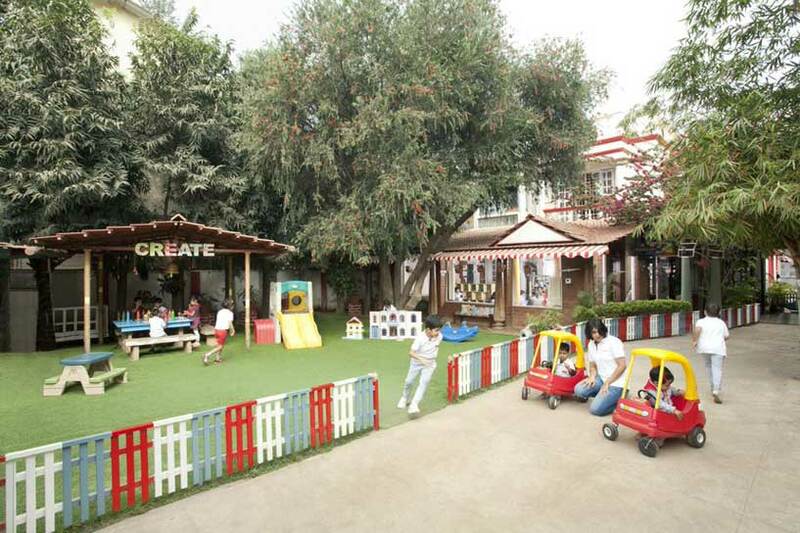 Vivero International Pre-School & Child Care, Whitefield is sprawled over 7000 sq.ft. 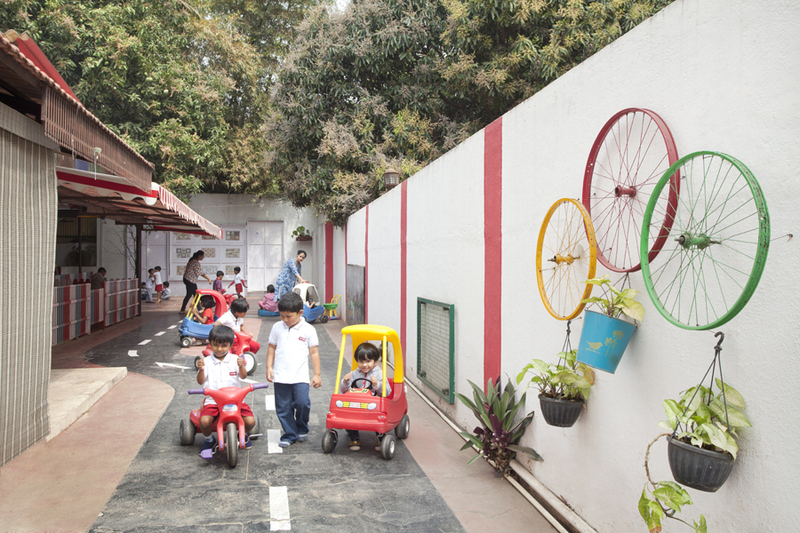 with ample outdoor spaces to enhance the perfect learning environment. It is engaging, supporting the child’s curiosity and wonder. Our classrooms are fascinating, soothing and full of wonder and discovery. We believe the environment should inspire the child to inquire, think and learn. 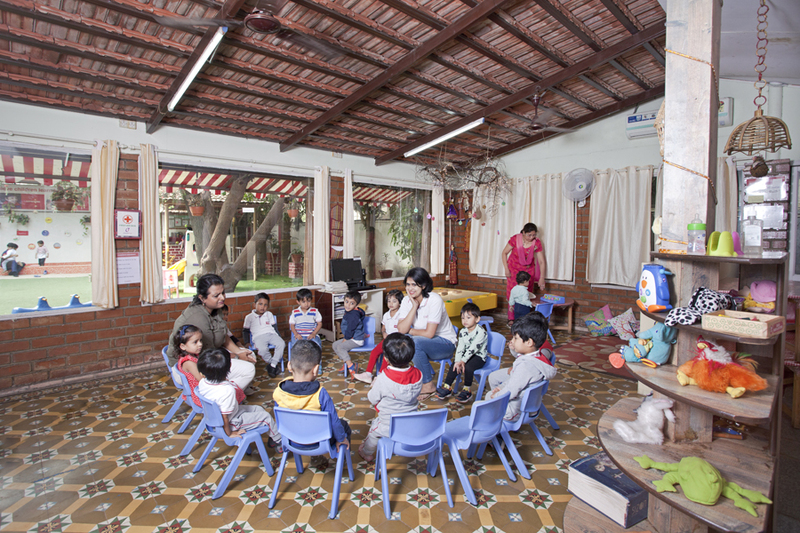 Our intentionally designed spaces ensure effective learning and ensures ample opportunity to engage with nature in a clean and safe manner. The common area has an interactive science corner with a Glass/reflection table, library, etc. Intentionally designed special learning corners and learning aids add to the sense of wonder. 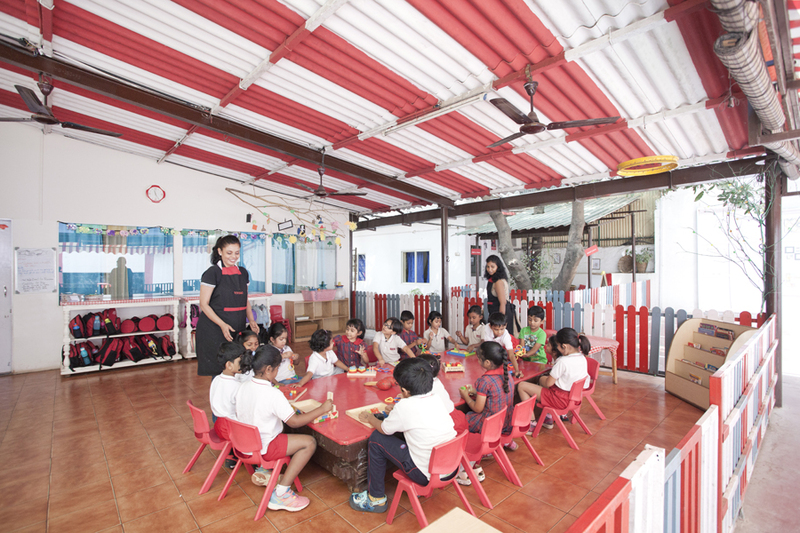 In joint partnership with Eton House Global Pre Schools of Singapore, Vivero Curriculum is based on an inquiry based learning programme. Our teachers & caregivers are passionately committed towards their children. A rigorous recruitment process selects teachers who are also life-long learners. Our curriculum approach at Vivero is inspired by the Reggio Emilia philosophy. Our Curriculum is inspired by the IB approach to learning. The curriculum leverages the UK Early Learning goals and is also grounded by current research and developments in the field of early childhood education, in particular the work of The Centre on the Developing Child and HGSE at Harvard University, the International Baccalaureate (IB) and the Infant Toddler Centres of Reggio Emilia. Our health and safety policy takes precedence over everything, child-friendly furniture and an everyday temperature check are just some aspects of this policy. We strive to develop engaging environments and provide a holistically driven educational approach. 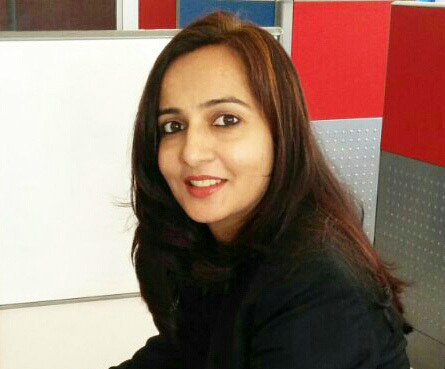 Ms. Sowmya is a passionate and dedicated educational professional who has worked with some of the prestigious schools in Bangalore. She played a key role in developing and monitoring the curriculum for all Vivero schools with a specific responsibility to spearhead the development and implementation of our unique curriculum on a national basis. She holds a degree in Business Studies and Economics and has a wide exposure in International Baccalaureate curriculum. She has participated in a number of Early Childhood Conferences and IB workshops. She believes in promoting a safe learning environment and also ensures a school culture that encourages continuous improvements for teachers, children and the parent community.